Even if you don't recognise the name Stuart Freeborn, you'll doubtless know some of the characters he's created because two of them were Chewbacca and Yoda which gives his a world class CV wth just this sentence. 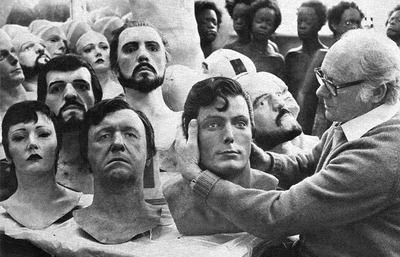 This man is truly the master of make-up in science fiction cinema having worked on (amongst others), all the original Star Wars films, the original Superman films and 2001 a Space Oddysey. I found a couple of old BBC films where he's sharing a few anecdotes about his career and I thought they were so charming I had to post them. Caution: You will want him to be your Grandad.